Stretch your imagination with Crayola Silly Putty - the crazy compound that bounces, molds, stretches, snaps and more! It's the classic 'toy with one moving part' that has been a kid favorite since 1950. 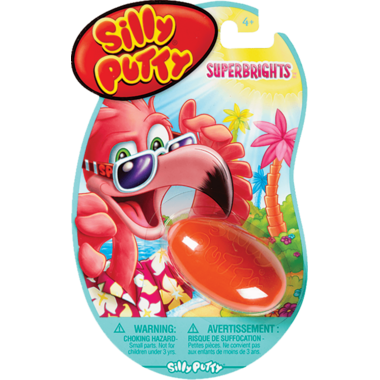 Nothing else is Silly Putty!